I got some great feedback on my post last week and enjoyed the resulting dialogue I shared with a number of new and old friends alike- thank you for reading my rambling! I am glad people enjoyed it and hopefully it made you think a bit whether you agreed with it or not (I like to think it was a pretty neutral posting weighing in on both sides of the coin- that was my intent anyway!) This week it’s back to your regularly scheduled program. 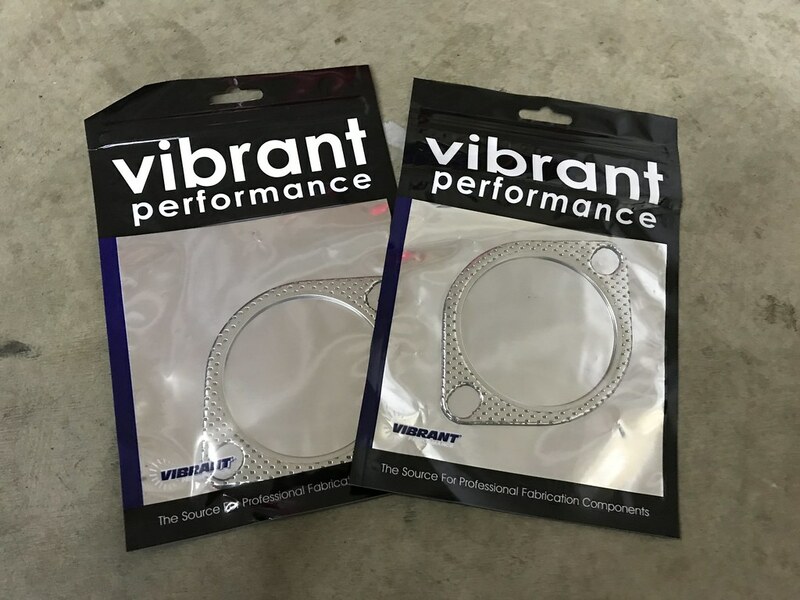 The gaskets on my catalytic converter were beginning to leak and make the car sound pretty bad, so I took some time to replace them a week or two ago. It always feels nice to solve relatively simple and inexpensive problems! 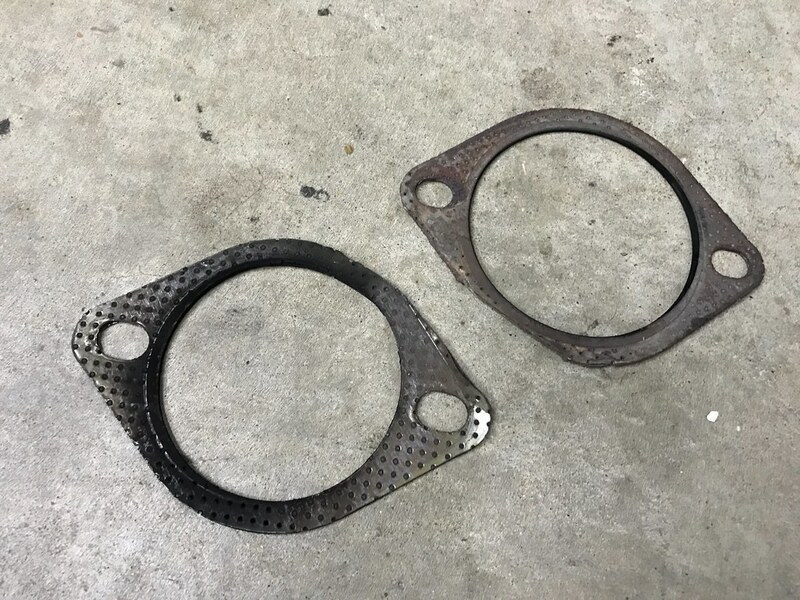 The constant scraping of the flanges on the cat converter takes a toll on the gaskets. 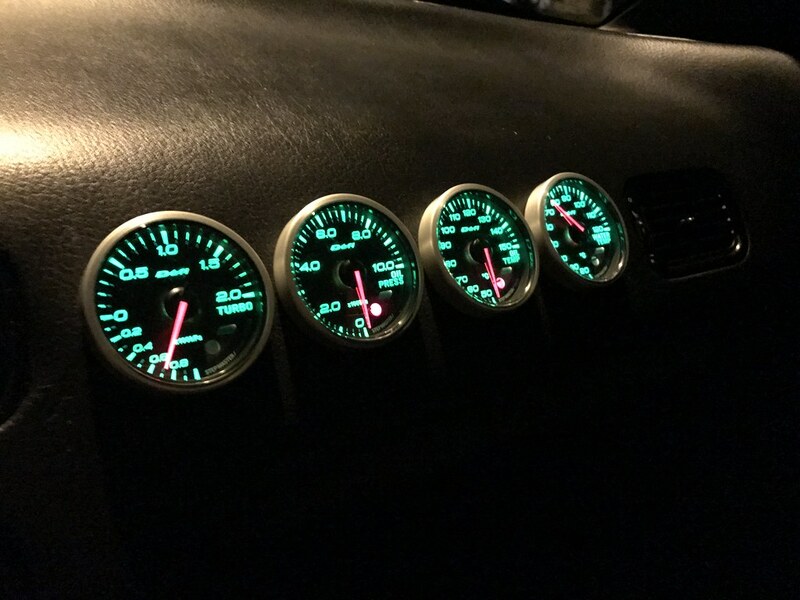 I also wired up my black Defi Link Meter II gauges. The boost and water temp gauges are hooked up but I still need to install the sensors for oil pressure and oil temp. I’m having an issue where the gauges are always illuminated even when the headlights are off, which I think might indicate there is something wrong with this controller as I am pretty confident I wired them correctly. I might need to try a different controller at some point down the road to verify that is the issue. I’d still almost prefer not to have any gauges at all, but I really like the look of the black version compared to the white right now. I recently discovered that my car was missing the factory light for the hatch area. I am not sure if this was gone when I got the car or if I lost it at some point many years ago, but thankfully my friend Tony still had his and sent it to me free of charge. Feels good to have this hole in the hatch area taken care of- thank you, Tony! 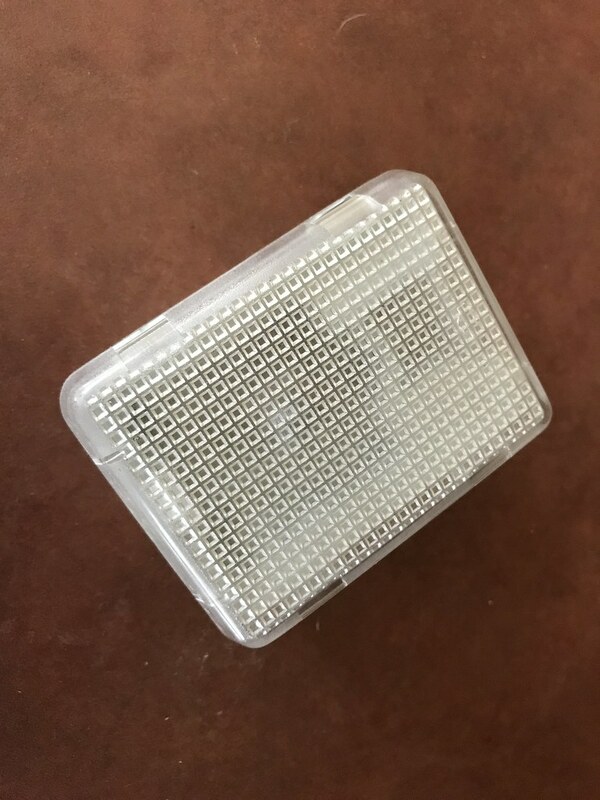 I discovered I am missing a number of clips back here that hold the side panels in place so I will likely try to work on tracking those down next. 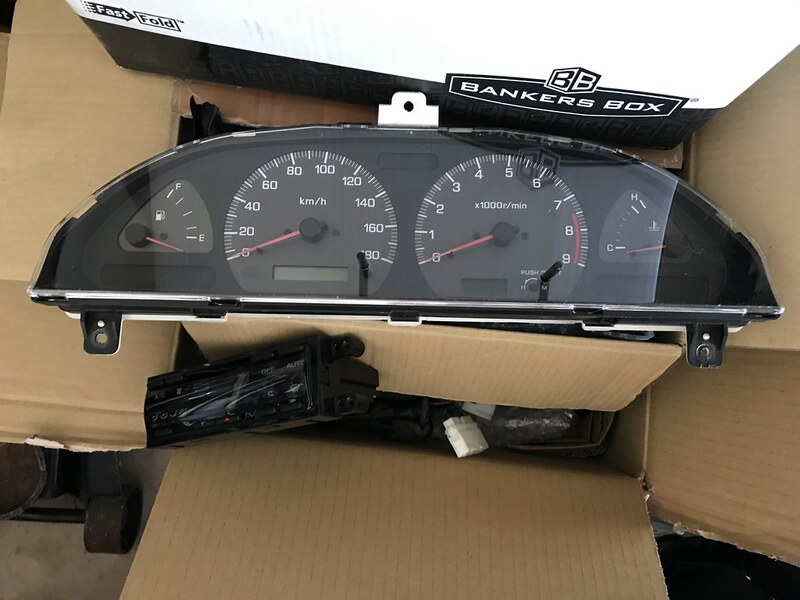 I started doing some research on kouki 180SX gauge clusters again recently and found a good deal on one with a partial harness attached (which is key for wiring it into a USDM chassis) priced below market value and snatched it up. I never installed this the first time around because I was concerned about keeping my chassis mileage consistent. As the car is about 10k miles from the 200k mark, I am starting to be less concerned with that. I’m still a little on the fence about installing this and the digital climate control so we’ll see if I decide to tackle it this winter or part ways with these items. I still need a few supporting items for each before I can install them properly. 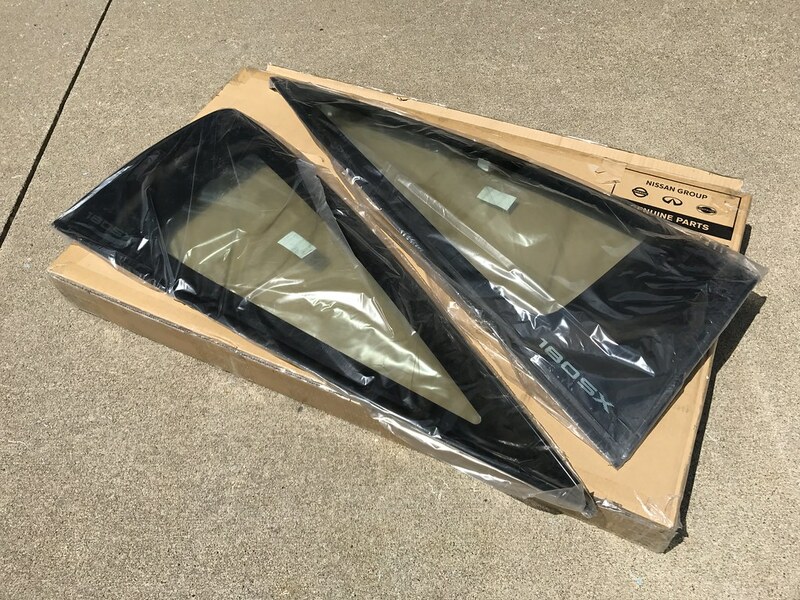 Finally, you may remember from one of my previous posts that I had acquired all of the replacement moldings for my car except for the trim around the rear quarter glass. My research taught me that the only way to purchase this molding is to buy the entire glass and the USDM glass was discontinued. 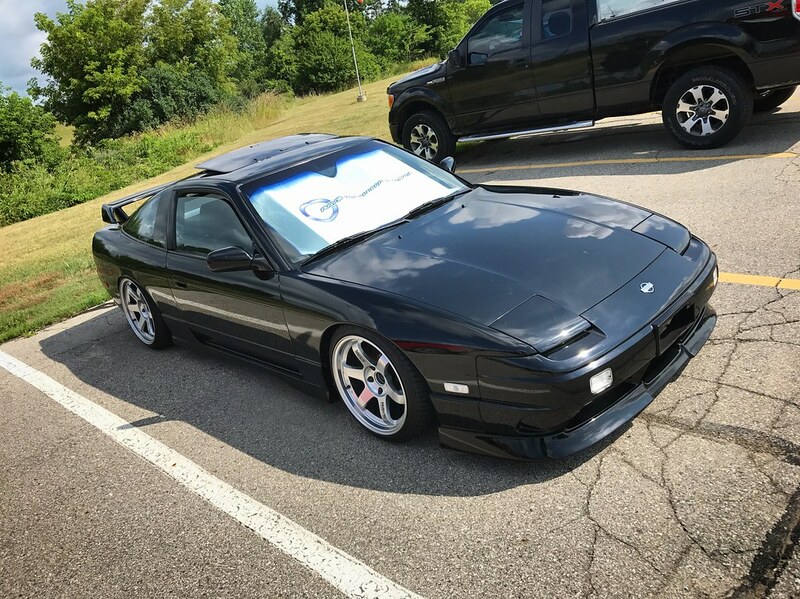 Fortunately I was able to source a pair of brand new 180SX side glass- pretty cool! I’ve always wanted a set of these windows, so to be able to secure them new is really exciting. 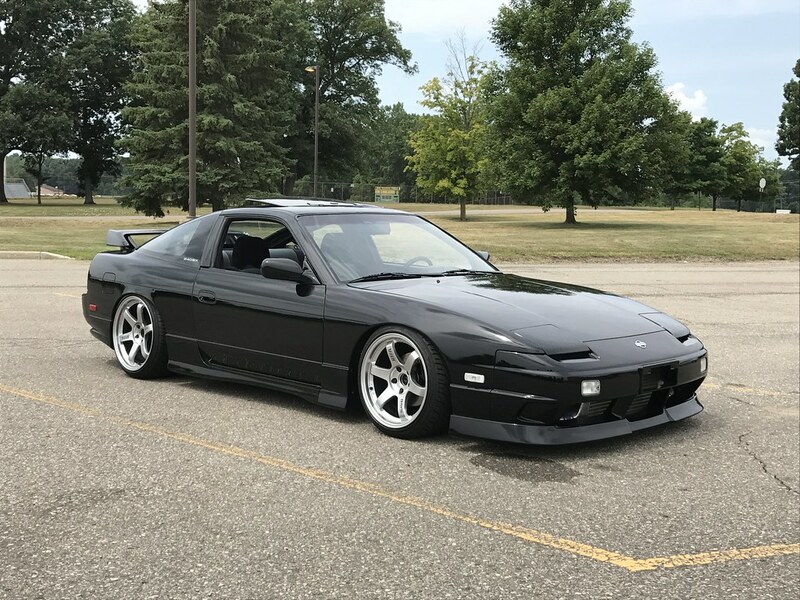 Other than these updates, I’ve been doing my best to enjoy driving the car every day I possibly can. You can’t quite feel it just yet, but it won’t be long before the weather begins to change for the worse here in Michigan. I’m looking forward to making use of the car as often as I can before it needs to be taken off the road for the season. Thanks as always for reading. Have a great weekend! 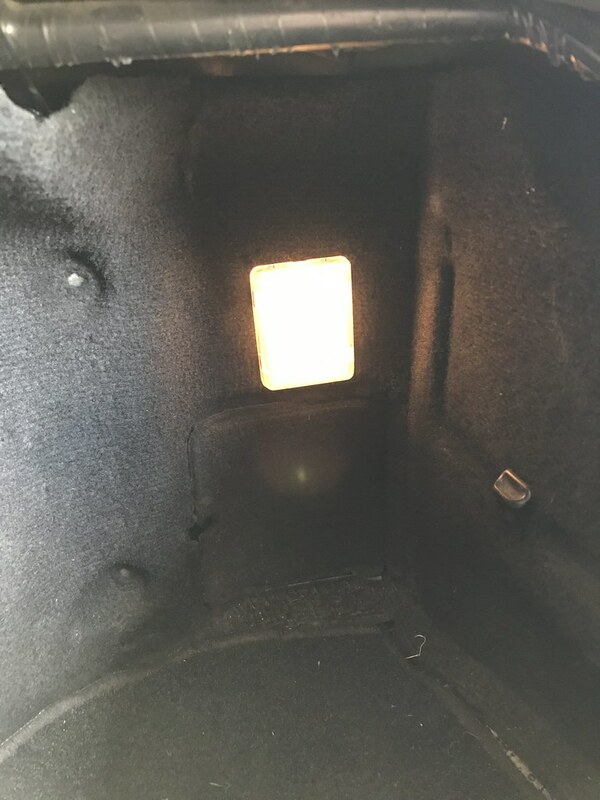 hey i’ve got the light thing on the back of my hatch and been wondering, what switch makes it turn on and how did you wire it in. cheers! really love how you are restoring your hatch especially things that most people overlook. The wiring for mine was already located in the trunk so all I had to do was plug it in. I wish I was more help! I’m assuming it turns on from a sensor located on the trunk latch, but I am not positive if that’s where the sensor is located. I’ll have to do some research!